The 26' Genie slab scissor lifts are the industry solution for increasing worksite productivity. Ideal for maneuvering in tight spaces, they're excellent for indoor and outdoor construction, maintenance and installation applications with rm, level surfaces. Characterized by low noise levels, these lifts provide excellent capacity and large platform workspace. 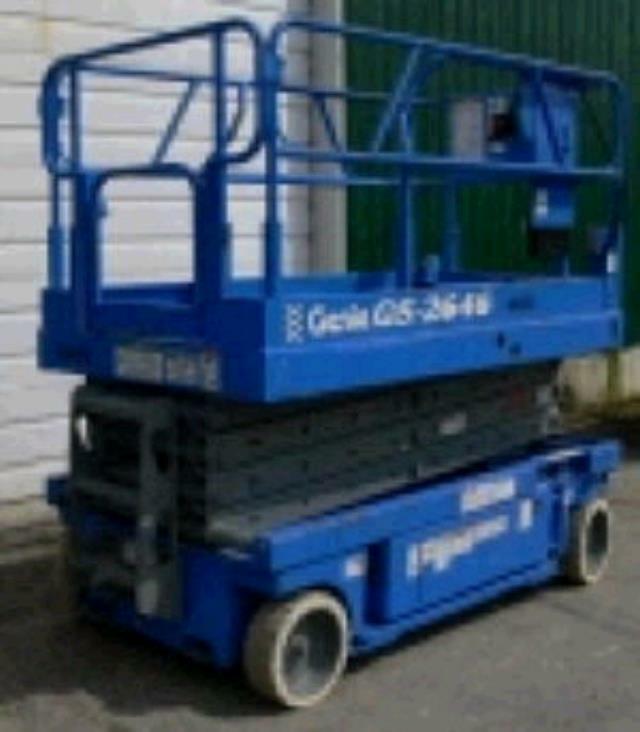 * Please call us for any questions on our scissor lift 26 ft genie rentals in Durango CO, LaPlata County, Mancos, Ignacio, Cortez, Bayfield, Pagosa Springs, and Silverton CO.